Coastal Vacations offers this discount travel membership package that is a combination of 20 membership cards & dozens of vacation bonuses valued at over $15,000.00! Get up to 50% off all kinds of travel-related products and services, such as: golfing, skiing, camping, dining, hotel stays, condo resort rentals, car rentals, roadside assistance, and more! 1) Carnival Cruise– 4 day/ 3 night Cruise for 2 adults on either Carnival or Royal Caribbean cruise lines! You have your choice of at least 3 ports to depart from. (Other ports options based on availability)With this cruise you sleep on board the ship, and all meals and on board entertainment are included. 3) 3 Night Cruise & Stay– 4 days / 3 nights. Island. All meals and activities are included on the ship. stay for 3 nights at a 3-star resort hotel. 4) 5 Night Cruise & Stay – 6 days / 5 nights. Same as above exept you stay for 5 nights at a 3-star resort hotel. 5) 7 Night Cruise & Stay– 8 days / 7 nights. Same as above except you stay for 7 nights at a 3-star resort hotel. 6) Royal Caribbean Cruise – 4 day/3 night Royal Caribbean Cruise with three great itineraries: Miami to the Bahamas, Cape Canaveral to the Bahamas, or Los Angeles to Mexico. All meals, snacks and entertainment included on board. Bahamas Vacation – 7 day/6 night in the Grand Bahamas – many other choices available. 60 days advanced reservations; hotel tax will vary with option chosen $7.00-$14.00 per person per night. Disney World Vacation – 5 day/4 night complimentary lodging (you pay only the taxes); includes one 1 day admission ticket to Epcot Center or MGM Studios or Sea World or the Magic Kingdom or two 1 day admission tickets to Kennedy Space Center. There’s also over $1,100 in coupons for food, entertainment, activities, and dinner shows around the Orlando area. This is good for 2 adults and up to 2 children under the age of 18 can stay for $10.00 per child per night. They require a $50.00 refundable room guarantee deposit and 30 days advance reservation for processing. Hawaii or Puerto Vallarta – This is known as the Western Fling vacation; it gives you 3 days/2 nights in Hawaii or Puerto Vallarta Mexico; plus an additional 3 days/2 nights in either Lake Tahoe, San Diego or the Anaheim/Disneyland area; $50 refundable room deposit, $10.00 per child per night; 30 days advances reservation for processing. 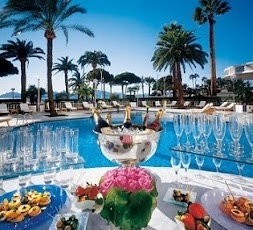 Take a Break Vacation – 3 day/2 night stay in a Luxury Resort; your choice of 50 destinations. They require a $50.00 refundable room deposit, 30 days advanced reservation &charge $10.00 per additional guest per night. Your Personal Vacation – 3 day/2 night; 60 destinations to choose from. They require 30 days advanced reservations, $50.00 refundable room deposit & charge $5.00 per child per night. Fabulous Florida Getaway – 3 day/2 night stay in Florida or other selected destinations. They require 60 days advanced reservations & a $50.00 refundable room deposit. Your Dream Vacation – 3 day/2 night; destinations include Las Vegas, Florida, Mexico, Hawaii, Aruba, and St. Martin in the Caribbean. Requires 30 days advanced reservations, $50.00 refundable room deposit & $10.00 per child per night. Special Dream Vacation Package I – 4 days/3 nights Deluxe accommodations in the Grand Bahamas. You pay taxes, and destination charges of $195.00; taxes & gratuities in the Bahamas runs about $14.00 per person per night; this trip is good for up to six people. Bahamas Stay – 7 day/6 night vacation in the Grand Bahamas, You pay taxes & destination charges of approx. $198.00; taxes & gratuities in the Bahamas runs about $14.00 per person per night. This trip is good for up to 6 people. Atlantic City, NJ Vacation – 3 relaxing days & 2 glorious nights’ complimentary lodging accommodations for 2 adults. This trip requires 60 days advanced reservations; $10.00 processing fee & hotel taxes run about $7.00 to $12.00 per night depending upon the hotel chosen. Honolulu, HI Vacation – 3 day/2 night complimentary lodging. This trip requires 60 days advanced reservations; $10.00 processing fee & hotel taxes run about $7.00 to $12.00 per night depending upon the hotel chosen. Lake Tahoe – 3 day/2 night at a wonderful resort with complimentary lodging. This trip requires 60 days advanced reservations; $10.00 processing fee & hotel taxes run about $7.00 to $12.00 per night depending upon the hotel chosen. Anaheim California/Disneyland Vacations – 3 days/2 nights with lodging. This trip requires 60 days advanced reservations, $10 processing fee, and hotel taxes run about $7.00 to $12.00 per night depending upon the hotel chosen. South of the Border Vacation – Includes Puerto Vallarta, Mazatlan, or Cancun Mexico. 3 day/2 night with lodging. This trip requires 60 days advanced reservations, $10.00 processing fee, and hotel taxes run about $7.00 – $12.00 per night depending on the hotel chosen. Nevada Vacation (Reno, Las Vegas, or Laughlin) – 3 day/2 night with lodging. This trip requires 60 days advanced reservations, $10.00 processing fee, and hotel taxes run about $7.00 – $12.00 per night depending on the hotel chosen. Silver Dollar City Vacation (Branson, MO) – 3 day/2 night with lodging. This trip requires 60 days advanced reservations, $10.00 processing fee, and hotel taxes run about $7.00 – $12.00 per night depending on the hotel chosen. Bahamas Vacation – 4 day/3 night in the Grand Bahamas – many Resort choices available, 60 days advanced reservations, hotel tax (will vary with option chosen) $7.00 – $12.00 per person per night. Round Trip air from Ft. Lauderdale, Florida to Freeport, Bahamas – you pay airfare tax and destination charges of approximately $195.00. Vacation is good for 1 to 6 persons. Vacation Your Way – 3 day/2 nights at your choice of several destinations in the U.S., the Caribbean, or Mexico. Requires 30 days advanced reservations, $50.00 REFUNDABLE room deposit, $5.00 per night per child. *Bonus vacations subject to change for other vacations of equal or higher value. Value of the packages increase every year as many additions are added., but price never increases! These are just some of the fantastic benefits you will be enjoying. This page is long but if you are looking for the true value of this package, you will find it here! We couldn’t possibly list everything you will be able to save money on. Now this is the way to go and relax at a luxury timeshare resort condo at one of our many choice world wide locations. You get up to 75% off regular rates. Also, many last minute deals are available to you for as low as $250 per week. By the way, you’ll never have to sit through a high pressure sales presentation in any of these resorts. You’ll enjoy your condo vacation with no strings attached. Over 75,000 properties to choose from! Never go to the same place twice if you don’t want to! Each resort provides a broad spectrum of fully furnished choice accommodations that include fireplaces, private Jacuzzi’s, massages, horseback riding, golf, tennis, boating, fishing, swimming and activities for children. Also included are hundreds of bed and breakfasts worldwide. Also included are hundreds of bed and breakfasts worldwide. Among the activities available at the various resorts are horseback riding, golf, tennis, boating, fishing, and swimming in pools, hot tubs and oceans. Many resorts even schedule supervised activities for children. You save up to 50% off green fees at thousands of Golf Courses and Driving Ranges in the USA, Canada, Mexico, Africa, Bahamas, France and England. This includes choice locations such as Myrtle Beach, Hilton Head, Hawaii, Florida, and Canada. A cart rental is usually required to obtain this special discount rate. In addition to those savings, you can also get “2 for 1” discounts on a bucket of balls at hundreds of driving ranges and 10% off golf resorts “stay and play” packages including Hawaii and other tropical locations. You will also receive Nationwide Golf Lesson Gift Certificates for those of you who do not know how to golf yet! It’s one of the most relaxing sports ever! With fabulous destinations that include Florida’s warm sunshine, a Hawaiian paradise, spectacular Caribbean sunsets, or the finest ski slopes in the country, the pressures of daily life will seem to fade away. Identify yourself as an “Access Member” and provide your Member Number & SAVE. Your coastal vacations travel card gives you the lowest airfares available, plus a full menu of discounted services through our full service travel agency. This is great! You’ll save big bucks on food and lodging at hotels, inns, resorts and restaurants all over the USA, Canada, Mexico, Europe and the Caribbean. You save 50% off standard rack rates (subject to availability) from thousands of participating hotels and resorts. Your Quest reservation will be accepted until the hotel reaches 85% occupancy for the date (s) requested which is not likely. You also get 10% off at any of the Days Inns, Choice Hotels (Comfort Inn, Sleep Inn, Clarion, Econo Lodge, Mainstay Suites, and Rodeway), Howard Johnsons, Ramada’s Inn and Hotels, and Travelodge Hotels. If you travel to Las Vegas, Reno, or Lake Tahoe you save 20%- 50% through Las Vegas Travel. If you stay in the major cities such as New York, Boston, Los Angeles, Washington DC, Chicago, Orlando, New Orleans, Miami, San Francisco, San Diego, Anaheim, London, or Paris you save up to 65% by using Quest Metro. $6 a night camping at participating campgrounds across North America. If you like camping (or want an easy way to try it), an ACN membership is like having a key to the kingdom of the Great Outdoors! The benefits are great. The participating campgrounds have dedicated campsite inventory set aside for ACN members, You just call a toll-free number and get a campsite for $6 a night, If you need cable, phone or sewer hookup, some campgrounds charge extra. You also gain access to ACN’s free trip route service, you know exactly how to get to the campsite. ACN will mail you a computer printout showing the total mileage of your trip and approximate driving time, plus detailed driving directions- including every turn, road and highway, and the distance between all junctions and towns on the route. You’ll also love ACN Travel Services, a full service discount travel agency. ACN guarantees the best rates available for all major airlines. They also offer discount tour packages and cruises, as well as hotel and ground transportation. Also, as a special membership bonus, you get up to 30% off at Disney’s Fort Wilderness Resort, Ever been there? Its great! You get up to 50% off all kinds of recreation and entertainment experiences all over the USA, Hawaii, Puerto Rico, Canada, Mexico, Caribbean, and South America. You get 2 for 1 discounts and other special discounts at amusement parks, miniature golf centers, arcades, laser tag arenas, bowling alleys, museums, bike tours, hiking trips, fishing trips, whitewater rafting, helicopter tours, horseback riding, air and land tours, skydiving, spas, theaters, kayaking, paintball, hot air balloon rides, zoos, boating and much more. This is a great benefit to use with any of the other travel discounts you will get with your membership. Why not try something new, or indulge in some family fun or your favorite passion? You save 50% off standard rack rates (subject to availability) at over 4,000 of our participating properties- including such great names as Hilton, Sheraton, Radisson, Omni, Residence Inn by Marriott, Holiday Inn, Quality Inn, Best Western and many more. These hotel discounts are available at choice locations worldwide- in the USA, Canada, Mexico, Australia, Bermuda, Brazil, China, Costa Rica, Egypt, England, France, Germany, Greece, India, Italy, New Zealand, Portugal, Puerto Rico, Spain, Switzerland, Tahiti, Aruba, and the Virgin Islands. You also get 10% off at any of the participating Days Inns, Howard Johnsons, and Ramada Inns. Now you can get up to 50% off luxury cruises with first rate cruise lines like Norwegian, Royal Caribbean and Princess. Now you can afford that dream cruise to the exotic ports in the Caribbean, Mexico, the Bahamas, and Alaska. “2 for 1” lift tickets and other discounts at more than 260 Ski Resorts worldwide? Planning a ski trip? Then you need to see the conditions and weather forecast for where you are going. http://www.snoweye.com . This site contains a compilation of 1761 web cams in ski resorts from 33 countries around the world, including over 1000 in Europe. In addition to big breaks on lift tickets, you also get a variety of discounts and special rates on other activities offered by the ski resorts, including: water parks, alpine slides, golfing, mountain biking, sky-rides, ski instruction, tram rides and more. The ski card passport also offers free paintball admission at participating locations nationwide, and up to 25% off white water rafting and canoe trips. Save up to 50% on more hotels Worldwide. You save 50% off standard rack rates (subject to availability) at thousands of participating properties including such great names as Hilton, Sheraton, Radisson, Omni, Residence Inn by Marriott, Holiday Inn, Quality Inn, Best Western and many more! These hotel discounts are available at even more great locations worldwide-including the USA, Canada, Mexico, Brazil, Costa Rica, Puerto Rico, Switzerland, England, France, Germany, Italy, Spain, the Virgin Islands and Asia. You also get 10% off at any of the participating Choice Hotels (Comfort Inn, Quality Inn, Sleep Inn, Clarion, Econo Lodge, Mainstay Suites and Rodeway) and La Quinta Inn’s. Not only that, various discounts are available at all SuperClub Resorts (Hedonism II, Breezes, Lido Resorts, and Boscobel Beach) and car rental companies (Alamo, Budget, and National Car Rental). Our participating hotels will welcome you, because even at 50% off they are still making money on the rooms that would otherwise go vacant. Your discounted reservation will be accepted until the hotel anticipates remaining rooms can be filled at full price. 1. Look at the participating hotels in the Hotel Savings Directory. 2. Call the hotel directly using the numbers in the hotel savings directory. 3. Identify yourself as a Great American Traveler member. 4. Obtain a confirmation code and confirm your reservation. 5. Present your membership card at check-in. You get drastic auto rental discounts at over 10,000 locations throughout the USA and Canada. You also get a 365 day, 24 hour access. This includes a savings of up to 30% on car rentals at Alamo, Hertz, and National Car Rental. You get up to $20.00 off Six Flags, $15 off Universal Studios, Upgrade to a Fun Card at Sea World, $14 off Paramount’s Great America, Buy 3 and get the 4th free at Wild Bill’s Dinner Extravaganza, savings at other big parks like Busch Gardens, and many more. Its fast and its convenient!! As a member you will be able to order them online, planning for your trip in advance! As a member of See America you may enjoy 50% savings off fine hotels, resorts and luxurious condo rentals throughout the US. Some International locations are available as well. When you get hungry, you’ll feast with dining savings at 25% off. PLUS, enjoy up to 65% off Hotels.com properties as well! You get discounted emergency road side assistance through reputable approved towing companies. In addition the local automotive facilities found in the Savings Directory or on the website, you will enjoy savings from these national automotive chains. AAMCO Transmissions – 10% off any service (up to $50 discount). Maaco – 10% off paint services and body labor. Meineke Discount Mufflers – $10 off exhaust service. Road America protects you from “pirate” or “gypsy” tow companies that gouge you with excessive emergency rates and endanger you by using out-of-date and unsafe equipment. This is great! With the ITC (International Travel Card) you’ll save big bucks on food at restaurants all over the USA, Canada, Mexico, Europe and the Caribbean. In addition to the local restaurants, casual dining, fast food, desserts, catering, take-out, delivery, and more found in the Savings Directory, Members enjoy savings of up to 50% from national retailers! It’s great, all you do is type out your zip code and it comes up with all restaurants and fast food places in your area and what kind of savings you can take advantage of. This card gives you and your family access to hundreds of tours. If you can’t find your special Golf Course in our existing Golf Directory, you now have a second to choose from! One of the World’s Premier Golf Membership Plans! Preferred rates at up to 50% off at over 2,000 golf courses, resorts, and driving ranges and special savings on resort stay-and-play packages. Play at thousands of locations throughout the US, or travel abroad to Canada, England, Italy, Ireland, Portugal, Scotland and more. Just grab your directory, clubs and go! Access to Unlimited $1,000 Gift Certificates to give away to friends and family. Use as incentives, employee bonuses, for charity, fundraisers and more! Each Gift Certificate holder can choose $1,000 worth of FREE merchandise and services. There are over 125 gift items and premium services that the holder of the Certificate can order FREE, with the exception of a small handling and delivery charge on each item. A sample of some of the gift items offered with this program: Cool Jogger Radio, Microwave Cooker, Cutlery Set, Wine Glasses, Nippon Binoculars, Pilots Suitcase, Panorama Camera, Washington Briefcase, Pen & Pencil Set, Lady Di Sapphire Ring, Manicure Set, Crystal Clock, Wireless Home Security System, Electric Shaver, Tool Kits… and so much more! from 2-7 bedroom condos and private residences fully stocked with all the comforts of home. Shop for $1,000 worth of merchandise from your choice of hundreds of items—such as vacations,jewelry, cookware, books, electronics, theater sets, knives,sunglasses and more! Give these away to friends and family members or as business incentives . Just $10 each. Order in any quantity. With this card you can order a variety pack of 10 activated vacation certificates, depending onwhat the shipping center has on hand, for just $25. That’s only $2.50 each, instead of $6.95. This is a one-time use card. 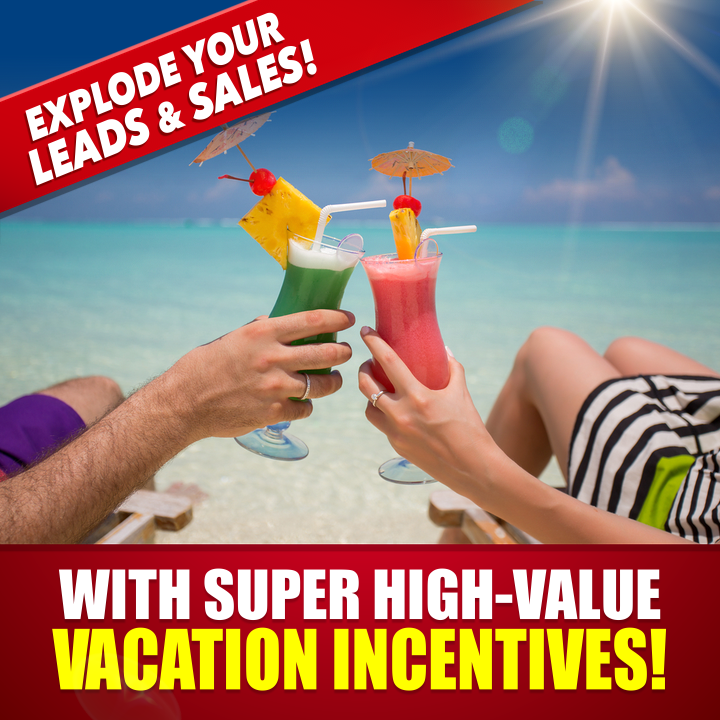 This card is a one-time use card that gives you 5000 free leads from one of several different lead vendors to help you kick your business into high gear! A great way to get started fast. of 5 cruises, depending on what the shipping center has on hand, for just $30. This is a one-time use card per renewal period. network of thousands of timeshare properties. Enjoy 6 great All-Inclusive vacation certificates with this membership card for just $50. The destinations and details vary depending on what the shipping center has on hand at the time of your order. Travel in style like our Platinum members do…with an all-inclusive vacation. Get all the benefits and perks that professional travel agents do! coupons you can print off right from your computer. Discounted emergency assistance through approved towing companies. Hold fast to your dreams of exotic ports in the Caribbean, Mexico, the Bahamas, and Alaska. You can now afford to go in style on first rate cruises like Norwegian, Royal Caribbean and Princess at savings of up to 50% and more. Bon Voyage! We can make renting a car as simple and inexpensive as possible. With your membership, renting a car is not only a great idea, it’s a great deal, too! Huge savings on the most popular domestic and international destinations can now be yours. All inclusive packages include airfare, resort accommodations, and car rentals. What happens if your marketing efforts yield a Premier or Platinum Sale? (neither of which you are qualified to receive commissions on at this time). As a Coastal Vacations Qualified Level I Director you will always be paid a minimum of $1000.00 on the sale of any Coastal Membership (LI, LII or LIII) generated through your marketing efforts! The remaining commission will roll up to the next qualified director in connection with your sale. Everything contained in the Level I Membership package PLUS the International Vacation Membership gives you access to UNLIMITED 7 Day, 6 Night Vacations with complimentary lodging accommodations for 2 Adults (or more). You may order as many as you wish as often as you want! As a Level II Member order as many cruises as you wish, as often as you wish, on Carnival or Royal Caribbean Cruise Line’s. Depart from Ports such as Cape Canaveral, FL, Miami, FL and Los Angeles, CA. • Disney World, Orlando, FL Vacation – includes Lodging (3 Day/2 Nights in Orlando, FL and 2 nights in your choice of either Daytona Beach, St. Petersburg or Ft. Lauderdale), a Complimentary Ticket to Magic Kingdom, Epcot Center, MGM Studios, Sea World, or 2 tickets to Kennedy Space Center; and $1000.00 in benefits such as dining, dinner shows, attractions, shopping, golf, and more. • Sea, Ski, and Sightsee – Six Fantastic 3 Day and 2 Night Vacations, choose from 30 Destinations. • Take a Break Vacation – Entitles you to 3 Days and 2 Nights, choose from one of 20 Destinations. • Relax & Getaway Vacation – Entitles you to 3 Days and 2 Nights, choose from 80 Destinations for 2 Adults. • Your Dream Vacation – Vacation for 2: Enjoy 3 days and 2 nights Accommodations at one of several Destinations – Orlando, Daytona Beach, Puerto Vallarta, Cancun, Aruba or Las Vegas. With the Premier Package you’ll have two really great memberships – the Coastal Membership Card that you get with the Level I Package, and the International Travel Card that you get with your Level II Package. You’ll have unlimited access to thousands of 3-day & 7-day vacations to destinations all around the world. What can you do with all those vacations? Well, give them to family members or friends as gifts… Let your prospects take a mini-vacation before coming into the business… Give them away at fund raisers Give to employees… Or have some fun yourself and go on vacation! What if someone in your organization’s marketing efforts generates a Level II sale? – and they are only Level I qualified? And if your marketing efforts yield a Platinum level sale… Which you are not qualified to receive commissions on? You still earn the $3200 Premier commission and the rest rolls up to the next qualified Level III Director. Level III Universal Travel Package includes unlimited Prestigious Bonus Vacations! Expand the boundaries of your travel to the rest of the world. With the impressive array of destinations in the Level III Universal Travel Package, you are sure to find a destination that suits your desires. • Central Florida Getaway – 5 day 4 nights Daytona Beach & Orlando Vacation. Requires 30 days advance notice (or you can give less than 30 days with a $25 surcharge), $50 refundable deposit, and hotel taxes of about $8 – $lO/night. • Bonus Vacation Program – Buy one, get one free 3-7 night Carnival cruises, complimentary accommodations (3 -7 nights) with purchased airfare, Complimentary Airfare for two with purchased accommodations (7-14 nights). Locations include: Jamaica, Costa Rica, San Juan, St. Thomas, Barbados, Aruba, Rio De Janeiro, Greece, England, France, Italy, Egypt, Israel, Singapore, Bangkok, Thailand, Hong Kong, Tokyo, Hawaii, Tahiti, Australia, New Zealand, Acapulco, Cabo San Lucas, Cancun, Manzanillo, Mazatlan, Puerto, Vallarta, Orlando, Southern California, Spain, Portugal, & Switzerland. • 3 or 4 night Carnival or Royal Caribbean Cruise – plus bonus 2 nights hotel stay. • Plus, we can purchase ANY additional certificates in unlimited quantities to give away! The Universal Travel Package also gives you access to UNLIMITED condo vacations with complimentary lodging for 2 Adults (or more). You may order as many as you wish as often as you want! 6 Days Rome, Italy 6 Days Paris, France And Many More! Order as many as you wish, as often as you wish on Carnival Cruise Line’s Fantasy, Ecstasy, Holiday, Fascination, Inspiration, Destiny, Imagination, Elation, Paradise, Triumph and more. 4 or 5 Day Carnival or Royal Caribbean Cruise, 3 & 4 Day – Cruise aboard the Fascination to Miami, Key West, & Cozumel, 7 Nights – Carnival Cruise: New Orleans to Montego Bay, & Grand Cayman, Cozumel 7 Nights – Carnival Destiny, 4 or 5 Day – Carnival Imagination, 7 Nights – Carnival Elation: Los Angeles to Puerto Vallarta, Cabo San Lucas, 7 Nights – Carnival Paradise, 7 Nights – Carnival Triumph. PLUS, You Will Receive A FREE Ticket to a Coastal Training Seminar of your choice! Your Platinum Package comes with UNLIMITED “All-Inclusive” Resort Packages… Stay at the beautiful Viva All Inclusive Wyndham Resorts. Visit all eight of them and enjoy a vacation like no other. Order as many as you like. For the intelligent traveler who wants to have it all. Why settle for just one? Your complete Platinum Travel Package contains hundreds of Domestic and International Vacations and Cruises. You get everything in all three packages for just $11,000 that’s a savings of $1,295.00 if purchased separately! – This means your Level I Package is FREE! • Have all packages on hand, and be able to market ALL products, not just one. • BECAUSE OTHERS WILL DO WHAT YOU DO! With the Platinum Package you’ll have unlimited access to thousands of 3-day to 14-day vacations to destinations all around the world! What can you do with all those vacations? • Or have some fun yourself and go on vacation! What if someone in your organization’s marketing efforts generates a Level III sale… and they are only Level II qualified? What if someone in your organization’s marketing efforts generates a Level III sale… and they are only Level I qualified? They get the $1,000 LI commission and $8,705 will roll up to you… and you didn’t spend a dime on marketing for that sale now did you? As a Qualified Level III Director you can be paid on any sales within your organization which our team is not yet qualified to receive… And they still earn their full commissions! – Everyone wins! Yes the membership package is lifetime. Contact the board at Facebook.com/Coastalvacations for your membership id #. They should be able to pull it up for you!! Wow I landed into amazing blog post seems really fun. If you purchase the first package can you sale any other packages and earn Commission? You can sell any package but you can only earn commissions at your level of entry. Hope that helps! When will you start to earn Commission? You will earn commissions as soon as you make a sale. My name is Eric Jones, I am interested in whitelabeling your entire program. We have a full call center and a tremendous advertising budget. My contact is below. Our company is Logicall Marketing. Please call me on +61411161139 or contact me email:larry@autoincome.com.au. Need some info on the pay plan. Thanks. Hi Larry. I’d be happy to discuss and go over the compensation plan here with Coastal. If you don’t have Skype just go to http://www.Skype.com and download. Alright Ms. Johnnie. Thank you so much. You are very welcome. Chat soon!! Hello. Iam also interested in the business. About the packages how long do they last and are they life time packages? Hi Christine. The packages are lifetime and most of the vacations you will have unlimited amounts to use. Make sure to go through the entire website and then go to the Contact tab and fill out form and I’ll be happy to contact you and go over any questions that you may have. Chat soon and GOD Bless!! Wonderful Janet.. Click on the Contact tab and fill out your details and I’ll be happy to contact you!! Hello! I’m Abner from Brazil. and a big hello to you!! My membership has expired. How do I reactivate it? Hey Gladys. Here is a link to contact the Board of Directors. They’ll be able to help you. Have a Great day and God Bless!! I’ve been a coastal member for some time now. Recently sent off for a couple of vacations from HP Mgt in Fayetteville, and the letter was returned due to insufficient address. Have they gone out of business or has the address changed? The forms I’m using are old. Hi Scott. It’s NB Management. I only use the shipping center out of Florida. Check your directors release for the address. That’s the main one and they are quick. Hope this has helped. If not get back with me and I’ll see what I can do to help you! Good Morning Ronda. I’d be happy to contact you. and place your contact info and I’ll be happy to give you a call. Chat soon. It was great speaking with you. It was great speaking with you just now Javier. We’ll chat again soon!! Your artwork is really impressive and amazing. Thank You. Make it a great day and God Bless!! I use to be a level 2. I stop doing the business when 9/11 hit. I would like to know am I sill activated. WOULD LIKE TO RETURN. It was great talking with you Krista. I look forward to working with you soon!! Hi, I am interested in becoming a member but I want to ask some questions. 1) where do I get leads? 2) How much do they cost 3) If I start with level 2 how much does it cost to go to level 3? Hi Alyce. You have some great questions. If you will go to my contact page and leave me your number I’d be happy to give you a call. 1/ We have advertising companies within Coastal that you can use and I have other companies that are just as great. 2/ The leads range in prices, from $1 (or less) and up. Once you join, we’ll go over the different leads and your budget to see what works best for you. I also have some FREE ways to advertise that work wonders. 3/ To upgrade from Level 2 to Level 3 is 7500. Usually with my team if you upgrade within a certain time frame, then just paying the difference. Hope this has helped. Looking forward to chatting with you soon!! Hi Ms Johnnie, I just found this site and I believe I would like to be a part of Coastal Travel. However, I need to wait until I get the funds to move forward. Nice info though. Hi Rob. We’d Love to have you join us. I’ve been in Coastal for 9.5 years now. Love to have you join the team. I Love it!! Great site! Did an awesome job! You need to experience a new contest, sweepstakes for one of the most effective weblogs on the web. I am going to highly recommend this web site! Excellent weblog right here! Also your web site up so fast. Great product here for travel. this webpage includes remarkable and excellent data designed for readers. Hi Christine. Thanks for the compliment on my website. I’d be happy to help you. Give me a call at 910-688-3158 and we’ll see about getting you started. (or reply to this with your number and I’ll call you). I Look forward to speaking with you today. I am interested. hello have a great day. Please contact me Regarding the sales position. I have been in the timeshare industry and have also sold vacation club packages. You can reach me at 843-***-****. It was great chatting with you Veronica. Looking forward to chatting with you again soon!! Hello.. Thanks for your comment. This program is definitely Real and NOT a Scam. in Love with what I do and I’ve NOT worked outside my home since I started. Pingback: Coastal Vacations - Does It Really Work?